Join Eleanor for a fun day of baking, oops I mean sewing! Patty Cake Quilt is a fun and easy quilt to make. 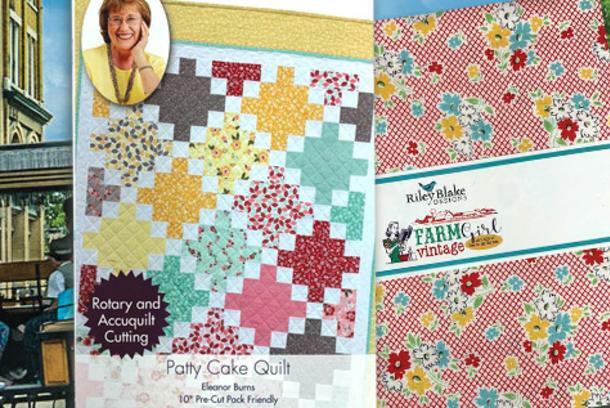 Eleanor will teach you how to slice up 10-inch squares and sew the slices back together. The sewing is a piece of cake and the quilt is simply delicious! Class Fee includes: Patty Cake instruction booklet, rough cut fabric kit, sewing machine use, and lunch. 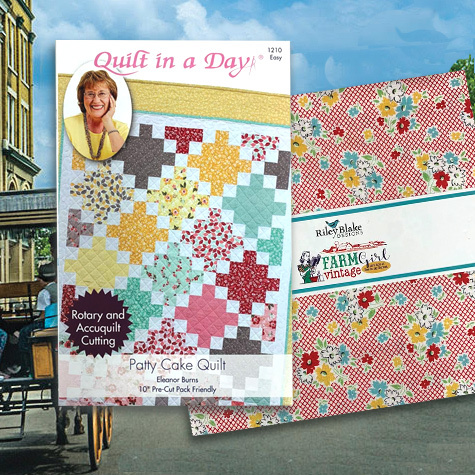 Fabric kit features Farm Girl Vintage by Lori Holt, for Riley Blake Fabrics. Kit includes fabric for top and binding only.